“Why are you doing this?” Cait from my university English Methods class asked. 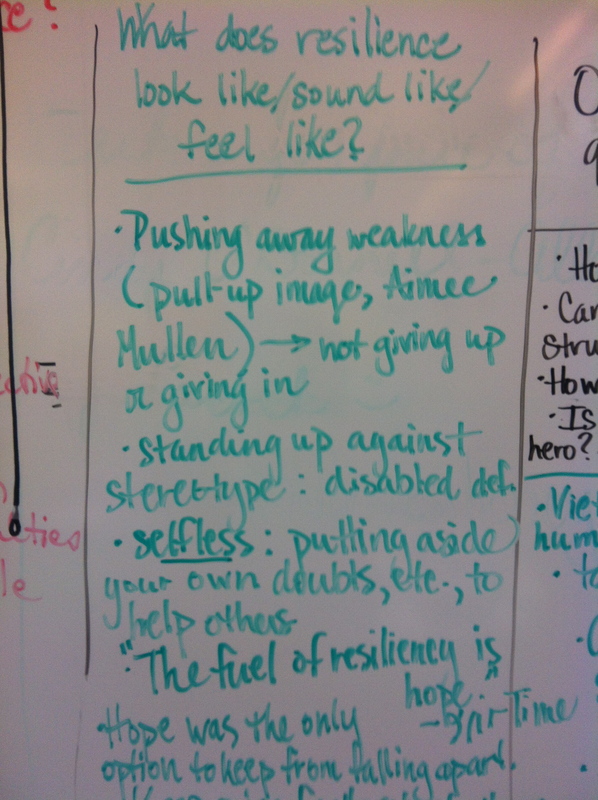 “This” being writing a unit on resilience that features Hamlet and actually teaching it at a local high school with CSU Writing Project teacher Jenny St. Romain. Why indeed (especially considering the stack of projects that need to be graded and returned to Caitlin and her fellow students)? Because I want to model good practice for my CSU preservice teachers (or maybe just “model practice,” depending on how it goes with the HS kids) by writing curriculum according to the principles we’ve been reading about in our Methods texts. Because Jenny and I are working together on a the NWP Literacy in the Common Core team and are learning to write instructional modules aligned with the Common Core State Standards. Because I need my high-school teaching fix. And last but not least, because I want to write about it. Today was the first day of that experience, and my plan is to update this blog at least weekly with an account of how it’s going. Jenny was actually absent today, but trustworthy friend that she is, she allowed me to start the show. I’ll be curious to hear what the HS kids think, but by my and the sub’s estimation, I haven’t forgotten how to teach 17-18-year-olds yet. Ask me again in 4 weeks, and I let you know. Before I talk specifically about how today went, I want to give a little context for the school, Jenny’s class, and the unit. 87.5% Caucasian, 7.42% Hispanic, 2.86% Asian/Pacific Islander, .68% American Indian/Alaskan Native, and 1.14% African American, .40% Undeclared. Of the 1957 students enrolled, 6.59% qualify for free lunches and 2.35% qualify for reduced lunches. 98% of the class of 2011 pursued post-secondary education; 76% attended a four-year college, and 22% attended a two-year or career education school. Jenny’s class: The school is on a modified block schedule, and the class Jenny and I are team-teaching meets last period for 75-94 minutes, depending on the day. It’s an AP Literature and Composition class, and there are only 15 students (9 girls, 6 boys), all seniors, all white except for one Asian girl. This is the last unit before to be taught before the AP exam, which is about a month away. The unit: As I said before, Hamlet is the primary text for the unit–or the “fulcrum text,” as Sarah Brown Wessling refers to it in Supporting Students in a Time of Common Core Standards–and we’re teaching it alongside a range of shorter “context texts” and “texture texts,” all grouped around a theme of resilience. Students will also be reading a contemporary text of their choice in book clubs. 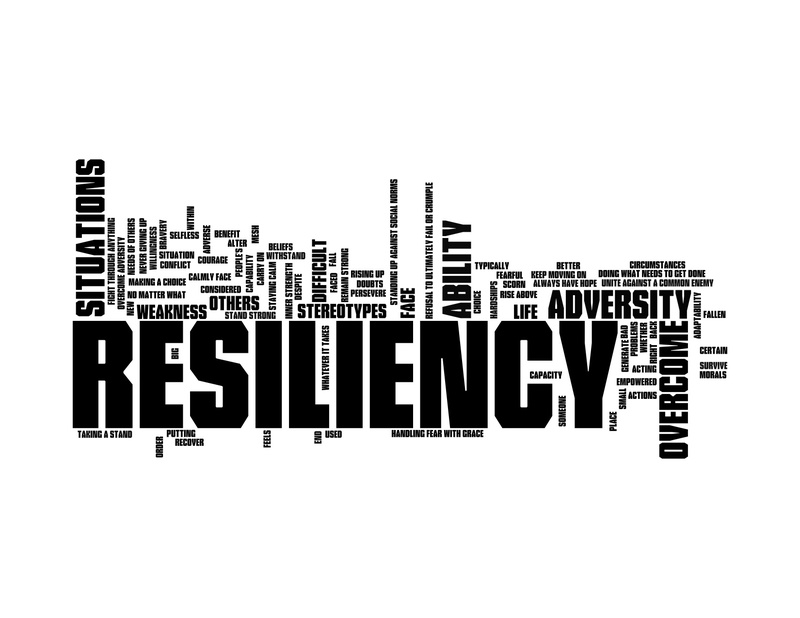 As opposed to giving students a definition of resilience and going from there, we’re taking an inquiry approach to unit and asking the kids to help us define what resilience is as this concept emerges from the set of texts we’ve gathered for them to read and those they’ll be producing. The other important thing to remember, as I mentioned before, is that we’re developing this curriculum in alignment with the Common Core State Standards. I’ll give a fuller description of the unit, the texts, and our approach to choosing them in a later post. The first day: Today’s goal was to get to know the kids a bit, to talk about the unit focus, and to start developing some definitions of resilience. Introductions, featuring names and random personal facts, went well. They asked for permission to call me Dr. Ms. Professor O’Donnell-Allen, and I demonstrated that I can lick my elbow. (This is true.) Then we dug right in with my very brief explanation of the unit theme and my request for help in defining resilience. 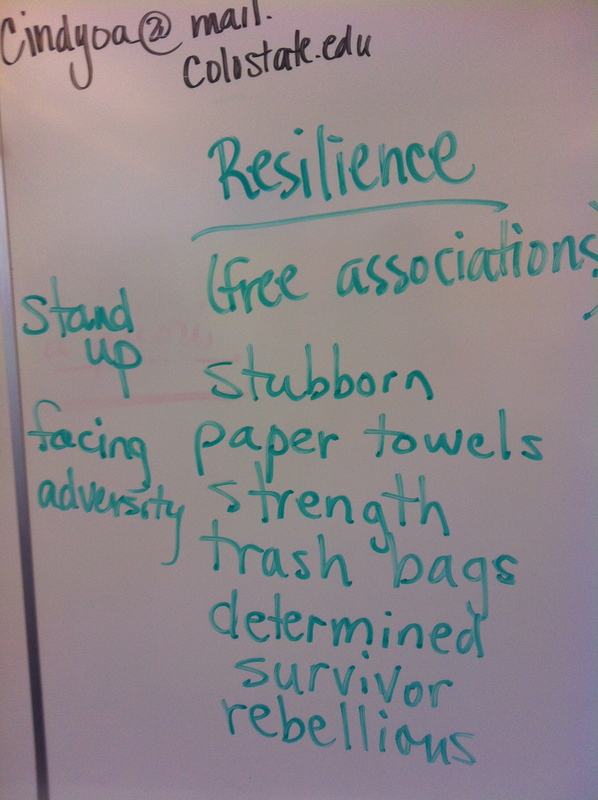 To do so, I drew a four-column chart on the board with a heading of “What is resilience?” First we free-associated words (see column 1). 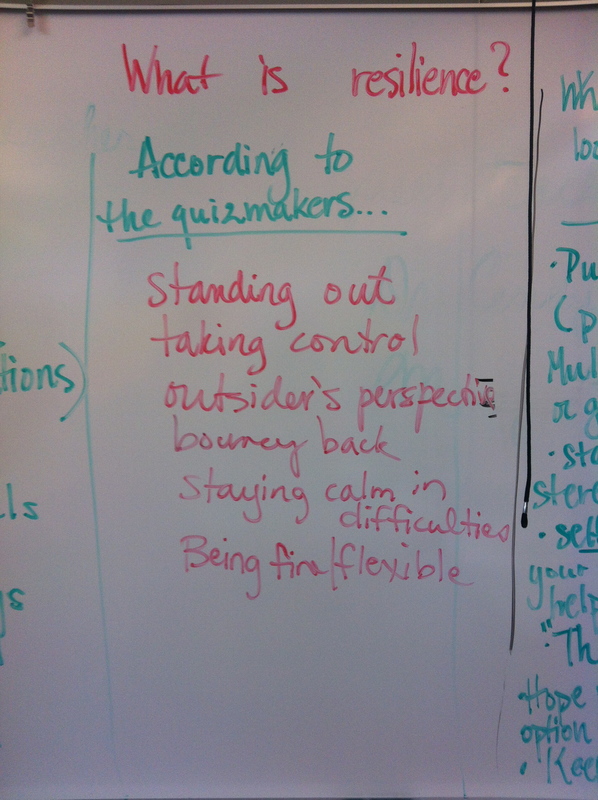 Then we took an informal resiliency quiz, scored it, and I asked them, “Based on this quiz, what do you think the quiz-makers think resilience is?” (See column 2). From there, we moved to the computer lab just outside Jenny’s room, and they got on the weebly site I designed and pre-loaded with lots of texts that relate to the unit theme, including YouTube videos, still images that came up when I Googled the word resilience, links to StoryCorps podcasts and other websites, texts on resilience, and so forth. 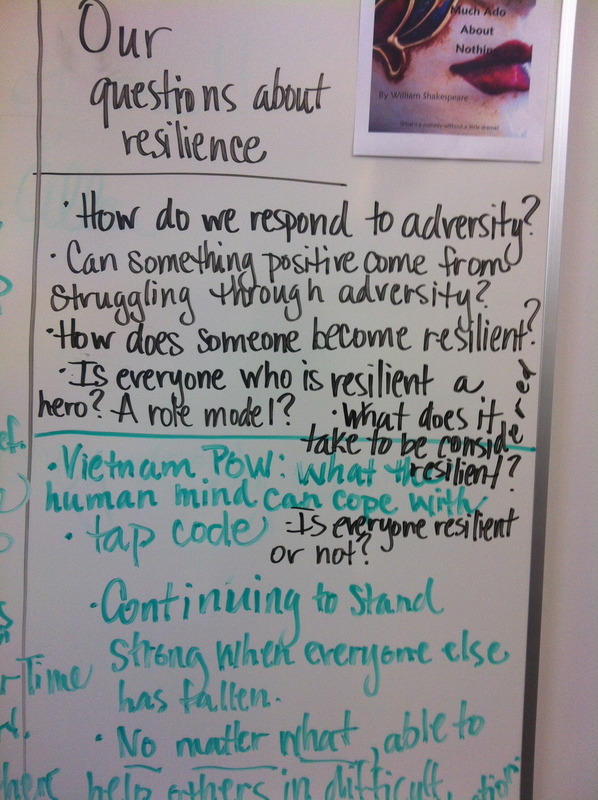 I asked students to take notes about they saw and heard as they surfed the site that would give us insight into our working definition of resilience. When we came back to class, I asked them to free-write for 7 minutes about what resiliency looks like/sounds like/feels like, based on their investigation of the weebly site. I and the sub wrote, too. When time was up, I asked them to underline a line worth sharing, and we compared notes, recording our observations in column 3. To wrap up the class, I asked them to look back over our chart and write a working definition ofresilienceon an index card I collected. By the end of the class, we’d read, written, and talked a good bit about what we think resilience might be and created a common lens through which to view the texts to come in relation to this question. The wordle at the top of this post captures the gist of their responses. I really enjoyed thinking and learning with the kids today. I hope they did, too. Wish us luck. I’ll let you know how it goes.